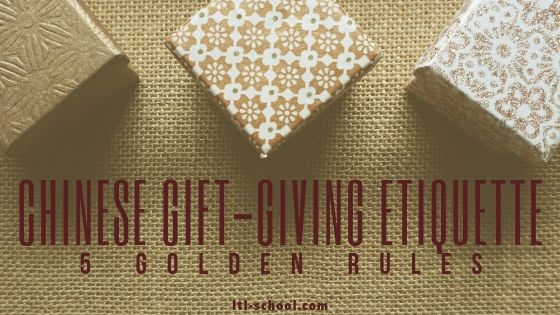 Regarding Chinese Gift Giving… these pointers are seriously important! As a country with a millenary history, China boasts an ancient culture largely based on respect, relationships, and rituals which maintain and promote harmony within society. 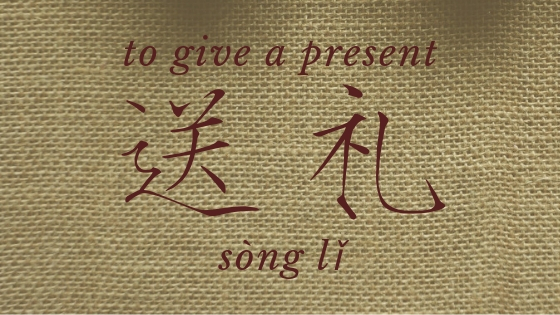 The art of gift giving in China, known as 送礼 (sòng lǐ), plays a key role as it allows people to demonstrate respect, show commitment, and maintain and strengthen relationships between family members, colleagues, and friends. If you’re thinking about buying a present for a Chinese person, these 5 golden rules will help you to get the perfect gift! #1 Make sure The Price is Right! The value of a gift, as one would expect, depends on the relationship with the recipient and on the situation. Generally speaking, when visiting someone, alcohol, tea, tobacco, and fruit are considered nice gifts to say thank you to the host; health and wellness gifts, such as gloves and hats, ginseng etc, are the perfect gifts for seniors. In business, gifts are used to strengthen relationships, and the value might vary according to the situation. 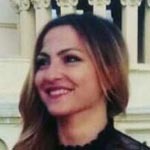 However, the most important rule to keep in mind is to give the most expensive gift to the most senior person in the company and to never give the same present to people of different ranks. Finally, consider that, apart from a few occasions, over the top gifts might embarrass the recipient due to his impossibility of adequately reciprocate it, or, when given to people of influence, it may appear to be a bribe. According to the Chinese gift-giving etiquette, gifts should be well-wrapped. Wrapping paper, ribbons, and bows are fine, especially if they are red (which symbolizes good luck), gold (wealth and fortune) pink and yellow (happiness). It is not appropriate to present a gift in markets’ bags. Including a greeting card or a gift tag to your present is a good idea, unless you write in red ink, as it signifies bad luck and death. More in general, never write a Chinese person’s name in red ink. When giving a gift, offer it to the person with both hands, as this is seen as a sign of respect. 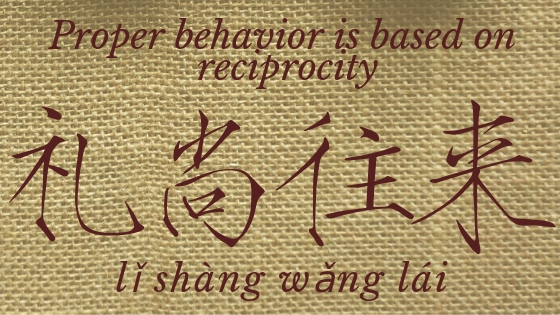 When receiving a gift, most Chinese recipients will first politely decline it and then accept it. If this doesn’t happen, then don’t push the issue. According to the Chinese etiquette, the recipient receives the gift with both hands, but he/she doesn’t open it immediately, as this will show he pays more attention to the gift than to the people who give it to him. Therefore, generally, gift giving in China happens after a visit or a party and it is followed by a thank-you note or gift. In China, is not a good idea giving clocks (送钟 sòng zhōng), umbrellas (伞, sǎn), pears (梨 lí) or shoes (鞋 xié) as they all have “bad” homophones: 送终 sòng zhōng) “attending a funeral ritual” (送终 sòng zhōng), (散 sàn) “to separate”, (离 lí) “leaving or parting” and (邪 xié) evil. It’s also a bad idea to give mirrors as are believed to attract ghosts and sharp object as it might seem that you want to cut off your relationship with the recipient. Do not give gifts in sets or multiples of four as the number four (四 sì) sounds similar to (死 sǐ) which means death. 6 and 8 are good and lucky numbers in China as the first sounds like “smooth” (溜 liū) and the second one (八 bā) sounds like “發” (fā) “to prosper”. 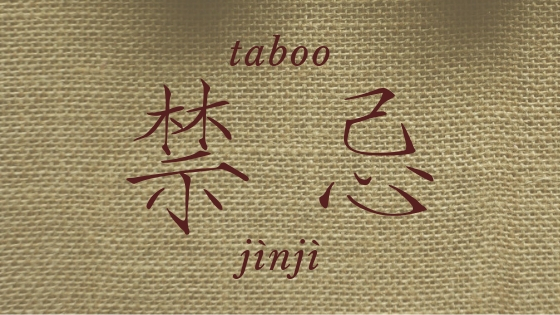 Furthermore, there is also a visual resemblance between 88 and 囍 (shuāng xǐ)literally: “double joy”. Necklaces, ties, and belts are considered personal gifts, so they should only be exchanged between boyfriends and girlfriends.